Read on to see the before and after. 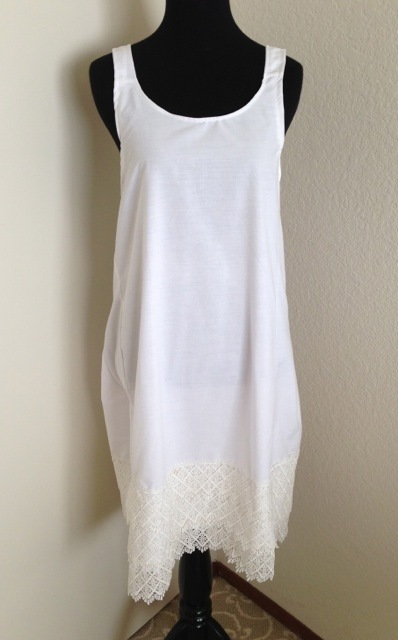 I started with a lace and chiffon white tunic dress. 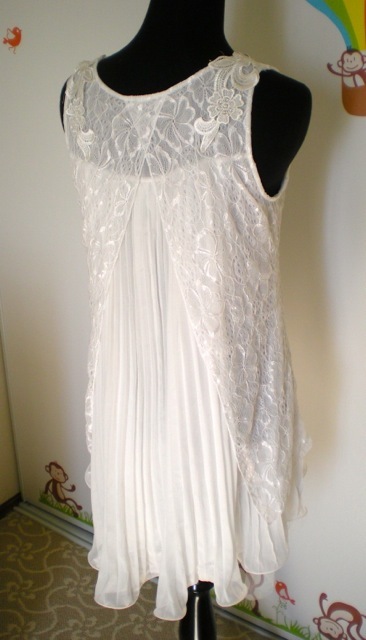 It was nice and loose, but very sheer and short. 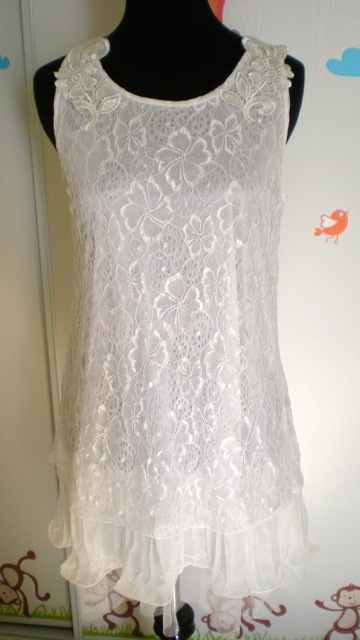 To solve the problem I made a cotton slip shaped like the dress, and added several rows of wide rayon lace onto the hem. All the green chiffon fabric you see on the sleeves, sash and hat are scraps left over from a Titanic dress that pre-dates this blog, but I really should document some time. The waist sash, sleeves and hat bad are all a series of tubes, with the raw edges hidden inside. Quick and easy! If I were to wear the dress again I would make more elegant sleeves, but seeing as how I put this together on the morning of the picnic I’m not too fussed about it. 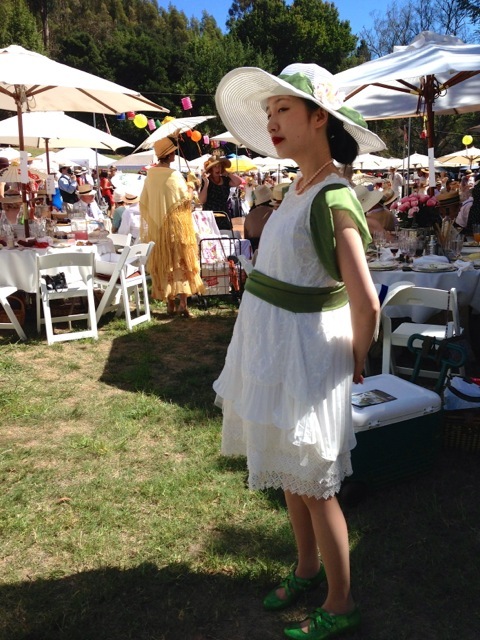 The sash kept riding up over my belly, making the dress look a little less drop-waisted 1920s, and more modern than I would have liked, but what costumer is ever really completely happy with the first wearing? The shoes are American Duchess Astorias that I painted green. The necklace is vintage coral. 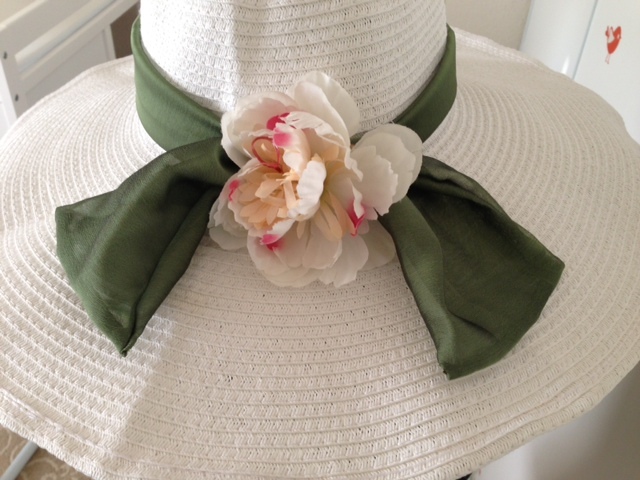 The hat is a modern garden hat that I decorated. 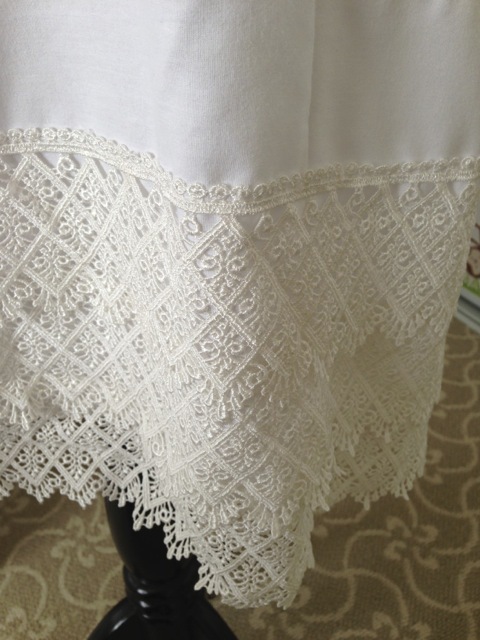 Unfortunately, it was shipped to me folded flat, and I could not steam out the creases completely. The bright red lipstick (that kept rubbing off everywhere!) 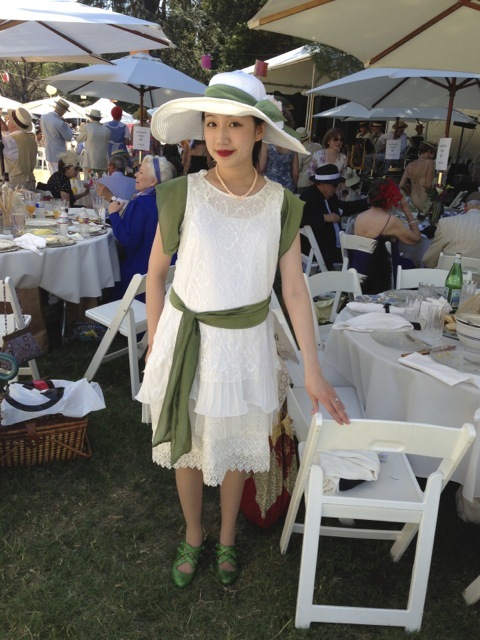 was part of a special Roaring 20s-inspired set, made by Julep. 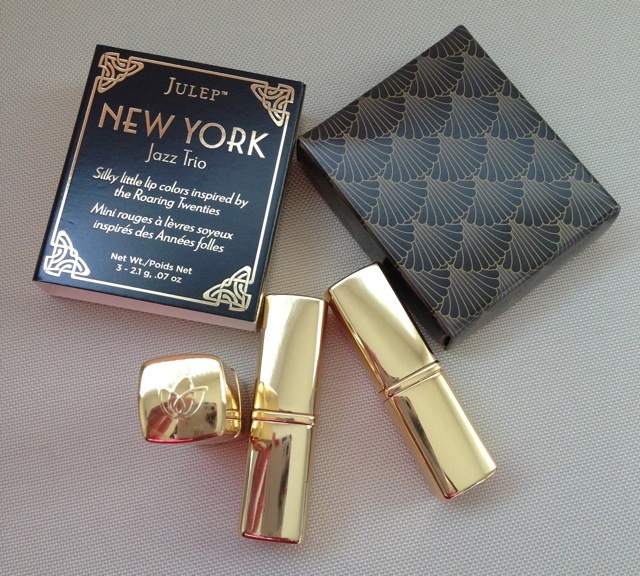 It came in a gold tube with 2 other lipsticks in a art deco-style box. Your outfit is great and you look beautiful! Green and white are so nice together. 🙂 And I really, really, really like your green Astorias!